It’s also important to consider health and safety requirements as well as how much space you’ll be utilising on a frequent basis. Try to select the best deal for your needs that will help keep costs down. If your stock levels fluctuate throughout the year and your provider can offer you flexible rates based on such seasonal requirements then even better. Once you have selected your ideal storage solution and have agreed upon a certain amount of space it’s imperative that you organise your space as efficiently as possible. Think ahead about which elements of your stock should go where before you begin aimlessly stacking boxes inside. If your employees need access to certain stock more frequently than others then ensure this is placed in an easily accessible area. If you have larger items don’t tuck them away at the back; that will require you to spend a lot of time moving other items around in order to get to them when they’re actually needed. Some of your stock may be sitting in your storage unit for some time so it’s crucial for businesses to be able to securely store or stack their assets. If your stock isn’t packed firmly or securely enough then it may result in being damaged when other boxes are being moved in or out of the unit. 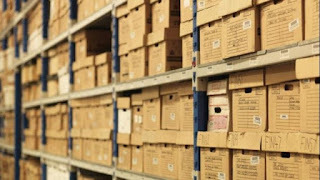 Dependent on the contents it may be necessary for items within the boxes to be accessed more swiftly than others, and any items that are more delicate than others should be protected more.